Love everything about the shirt just like the other's we have bought! Dirty mark on collar but rest of shirt is fine. Not sure how this occurred as shirt was in original packaging unopened. No hassle though as I should be able to remove when washed. Just thought it was worth mentioning as shirts are always in perfect condition. 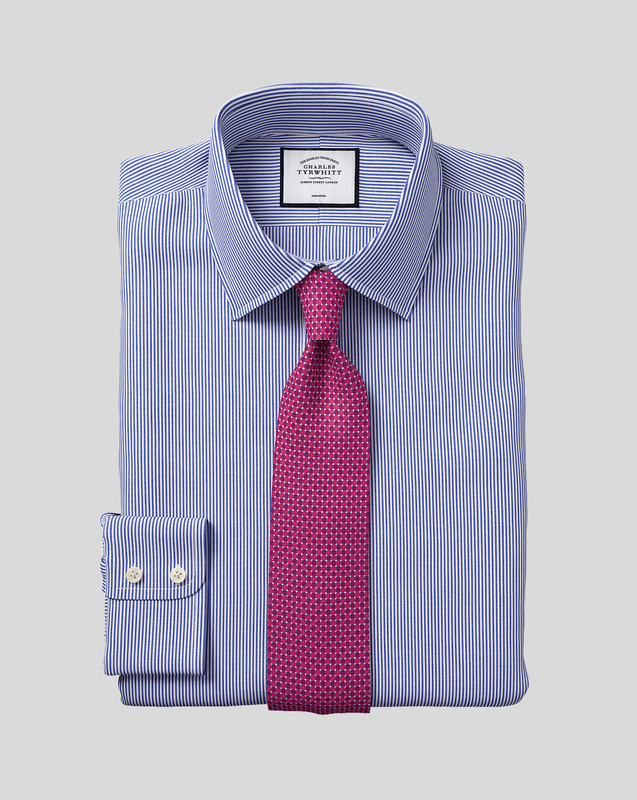 Response from Charles Tyrwhitt: I do apologise for the very unusual condition in which this shirt arrived, which is certainly disappointing and not up to our high quality control standards! Should you have any trouble removing the mark, please let us know and we will gladly have a replacement sent out to you free of charge. Fabulous fabric. Really easy care. Lovely classic stripe. A great purchase.